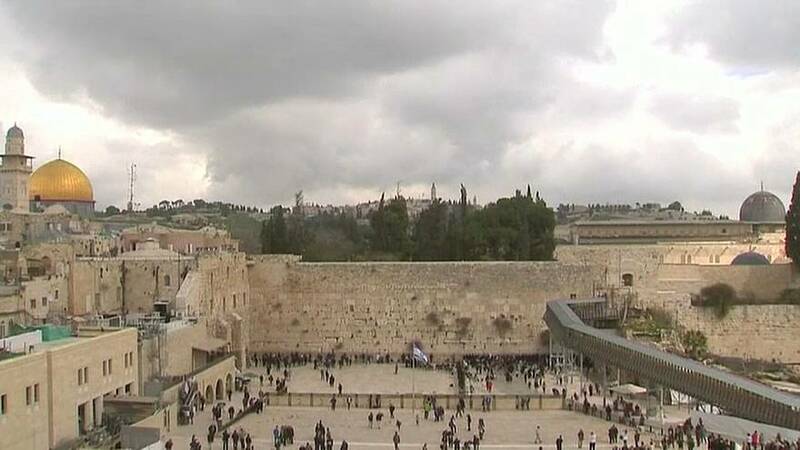 Jerusalem has become the focus of US foreign policy with Donald Trump widely expected to announce in a Wednesday address ( Dec 6) that he intends to recognise it as Israel's capital. The US President says if he does he's keeping a campaign pledge by moving the US embassy from Tel Aviv to the contested city. "I'm not going to get ahead of the President's remarks that he'll make tomorrow. He did speak with a number of leaders this morning and he's going to continue to have conversations with relevant stakeholders, but ultimately he'll make what he feels is the best decision for the United States." Jerusalem is a major issue at the heart of Israeli- Palestinian peace talks with both sides claiming it as their capital.Consequently the international community does not recognise Israeli sovereignty over the whole of the city. "As a matter of principal, the secretary general has said that he consistently warned against any unilateral action that would have potential to undermine the two state solution." The chief of the Arab League has already warned Washington not to break with decades of US policy by changing Jerusalem's current legal and political status. And Palestinian factions and militant groups have warned of dangerous consequences and have called for a "day of rage" if Trump goes ahead. Leaders across the Arab and Muslim world including Iraq's prime minister have warned the move could negatively effect Middle East stability while others have said it is a red line which must not be crossed.